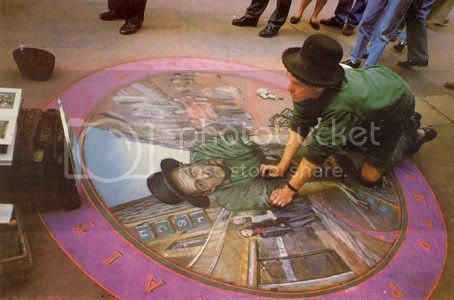 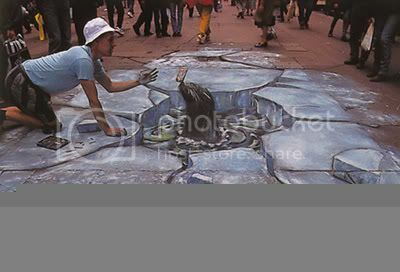 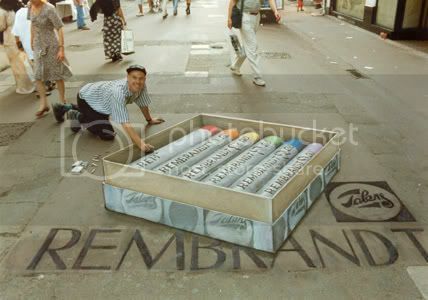 These are some of the fascinating street paintings which looks so real. 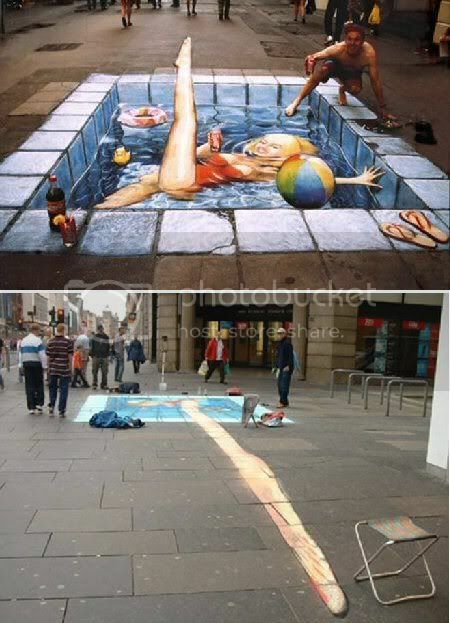 Those artists are great. 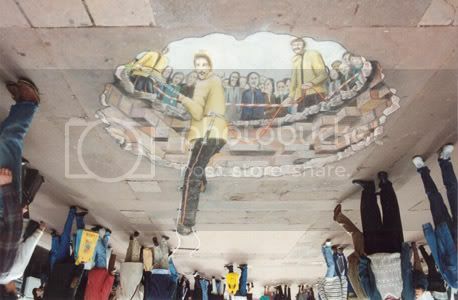 But if it is viewed from wrong angle, it looks something awful like this ^. 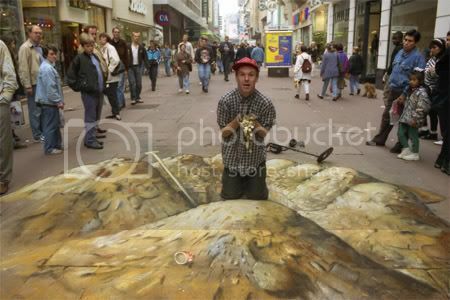 Yeha that coke is so real. 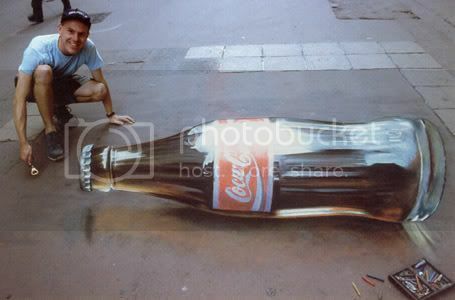 Wow, so nice, I like the big coke!